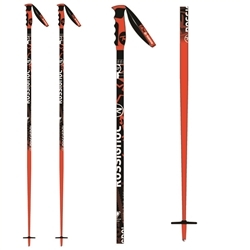 The new HERO SL is an elite-level World Cup Slalom race pole with a durable, lightweight triangular aluminum race shaft and World Cup grip. Hands/gloves slide quickly, easily into the handle straps (because the strap loop stays partially open when not in use). Also strap adjustment is Velcro which makes adjustment quick and easy as well! 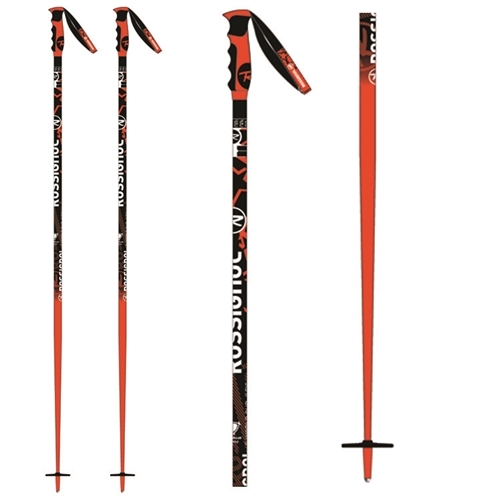 Poles are also stiff, not too heavy (at least for my liking) and the handle grips are RUBBER, not plastic, which I love! Thank you! Very fast! Great product!